This Spring there was a flurry of articles getting excited about shinrin-yoku, the Japanese practice of “forest bathing” – relaxing in woodland. The concept of forest bathing and other nature therapies is that we enter the environment in a stressed state (due to urban life and technology), experience the restorative effects of nature, and that this has some sort of preventive medical effect. In Japan, this idea is taken very seriously. The Forest Agency first proposed the idea as a health behaviour in 1982 and in 2004 implemented the ‘Therapeutic Effects of Forests Plan’, which emphasized the importance of scientific investigation of these effects. Since then, 64 forests have been empirically evaluated as meeting the criteria of a “Forest Therapy Base“. A 2010 paper conducted field experiments in 24 forests across Japan and found that shinrin-yoku promoted “lower concentrations of cortisol [“stress hormone”], lower pulse rate, lower blood pressure, greater parasympathetic nerve activity [the “rest-digest” system], and lower sympathetic nerve activity [the “fight or flight” system] than do city environments”. A review of 64 studies this year confirmed these stress-related physiological effects, as well as effects on psychological health and spiritual wellbeing. But what should we take from this, living in Easton, six thousand miles from the nearest Forest Therapy Base? The loss of British wild places is well documented. The Forestry Commission states that current woodland cover has fallen to less than 12% from an estimated high of around 75% around 6,000 years ago. The woodland that is left is patchy, isolated, and far from Bristol. Sight: the researchers didn’t find a massive effect of looking at images of nature compared to the control. Smell: the smells of Japanese cedar wood and Taiwanese cypress improved markers of stress (unless the participant disliked the smell), and this was true when compounds from those smells were isolated from the scent. Other oils that seem to work well are lavender, lemon and valerian. The exact mechanisms for this are unclear. Touch: participants preferred unpainted wooden objects to painted metal or painted wood, and this was reflected in lower blood pressure. Sound: the study reviewed was terrible – comparing the sound of a dentist drill with a babbling stream?! The reviewers identify numerous problems with this approach. Instead, we can look to a study in Nature in March this year which measured brain activity and stress markers while participants listened to natural and artificial sounds. The paper found that listening to artifical sound caused the brain to behave in an “inward-directed” state similar to that observed in anxiety, PTSD and depression, whereas listening to natural sound caused the brain to become “outward-directed”. There was also an increase in parasympathetic nervous system activity (“rest-digest”) while listening to natural sound. Putting all this together, if we can’t access a forest but want to experience some of the benefits of forest bathing, perhaps it might be a good idea to listen to some natural sounds, wear or burn essential oils, have some natural objects nearby to hold, and close our eyes for a bit. Time-wise, some of the benefits, from the sound at least, were shown in just ten minutes, so it needn’t take long. PS There is a whole strange world of soothing sound videos on YouTube. I’m a big fan of the rain videos of TexasHighDef, and am amazed by his commitment to the cause (he recently drove around for three hours during Hurricane Harvey just to record the rain on the wind shield) but looking at the related videos has led me to realised that people like to listen to all sorts of non-natural things to relax, from oscillating fans to a polar icebreaker to the engine of a B17 bomber (I actually love this one, though there is something very sinister about using the sound of a bomber for relaxation…). There are even fictional sleep sound videos, like this fantastic one of the sound of a starship sleeping quarters. The comments on these videos are pretty calming too – just strangers saying goodnight to each other. Weird world. PPS If the lack of forests bothers you, there are fantastic projects working against this – The Woodland Trust, Rewilding Britain, The National Forest Company, and many others. Even your Wildlife Trust will be doing survey work that contributes towards saving natural spaces. 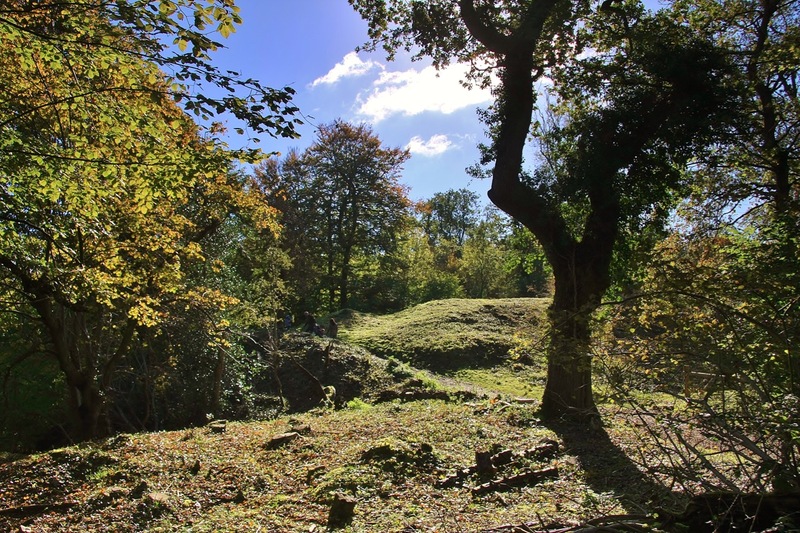 More locally, the green spaces in our city are under threat – Bristol City Council has announced that it will be completely stopping any spending on maintenance of its parks from April 2019. If you’d like to work against this, have a look at Bristol Parks Forum and Bristol Parkhive.